The Mercedes-Benz E 300 Sedan includes a 2.0L turbocharged engine that puts out 241 hp and accelerates from 0 to 60 mph in 6.2 seconds. Available in E-Class coupe, sedan, wagon, and cabriolet configurations, this V6 puts out 329 hp and 354 lb-ft of torque. 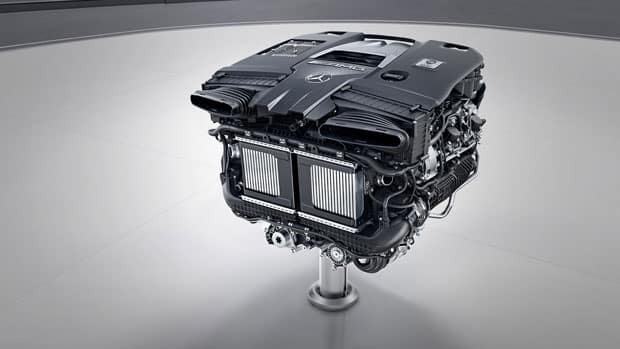 Two AMG® engines—a 3.0L V6 and a 4.0L V8—deliver maximum performance for Clarkston, MI drivers. Expect up to 603 hp in the AMG® E 63 S trim. For the best in performance, outfit your AMG® model with a racing-inspired suspension, limited-slip rear differential, and carbon-ceramic brakes. Experience the Mercedes-Benz E-Class in person by scheduling a test drive at Mercedes-Benz of Bloomfield Hills. Our new E-Class inventory is offered at a low monthly payment thanks to our First Class Financing department, and we can even help you preview the 2019 Mercedes-Benz E-Class! Contact us today to see how the E-Class outpaces the BMW 5 Series and Jaguar XF.